I went to Chester Zoo today for Ethan’s’ birthday, we had a great day out! One of the animals we saw was a bush dog, I’ve never seen one before, they were mega cute, but not my dog of the day! When I got back to Bolton I went to visit my parents and then went for a little walk down there street. I ended up seeing Loki from Day 128, Poppy from Day 140, Jack from Day 152 and Holly from Day 7. It was very nice to see them all but I was worried I wouldn’t spot any different dogs! I had to walk a little further than usual when I spotted a really smiley, friendly, beautiful dog. 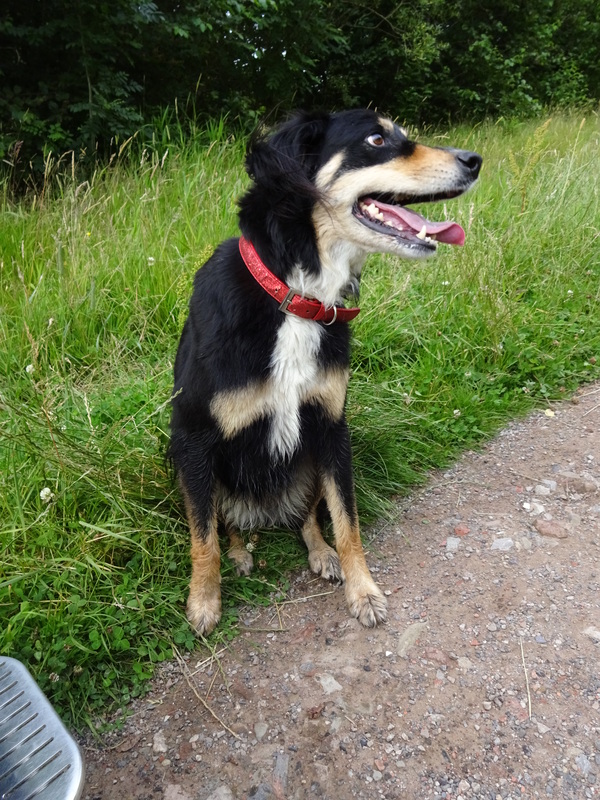 Tia was running with one of her dog sisters when she came over to say hello, she’s a very friendly girl! She had a big smile on her face the whole time I was with her, she has a lovely nature! Tia is a rescue dog. She had belonged to someone that ran a pub but they left her behind when they left. She was originally taken in by one of her humans neighbours but they had another dog that was picking on her so she went to live in her current home. Tia has 4 dog sisters, they were all having lots of fun together! Favourite toy: Balls, she like playing catch! Favourite pastime: Walking, swimming and meeting people! Sooo cute, a lovely dog!